Artificially produced peptides of breast milk help the nervous system of infants develop normally. In their quest to eradicate autism and schizophrenia in newborns, Russian scientists have synthesized a peptide that is necessary for nervous system development in newborns. The idea of artificially producing the components (peptides) of breast milk that help the nervous system develop normally in children was the result of decades of research in the biology department of Moscow State University and several Russian institutes of medical sciences, and an enterprising student named Anton Malyshev. In 2011, Malyshev, a young scientist and graduate of Moscow State University biology department, came up with the idea of marketing the research of his advisor, Professor Vyacheslav Dubynin. So began the Lactocore startup. "'Lacto' is from the word milk, and 'core' comes from the nervous system," said Anton. The most difficult challenge was to find a company that would be willing to change its recipe in order to make a new product. "The problem of our market is that the big players like Nestle only have their marketing and distribution departments here. They discuss any changes to their ingredients in research departments in Switzerland. It is quite difficult to reach them, and we would have to get recertified for the West," acknowledges Anton. In the end, a partner was found in Russia. A major dairy producer in Omsk agreed to work with him, and the partners plan to launch the first batch of products with Lactocore into the Russian market by the end of 2013. In addition, a lucrative partnership is forming in Belarus. 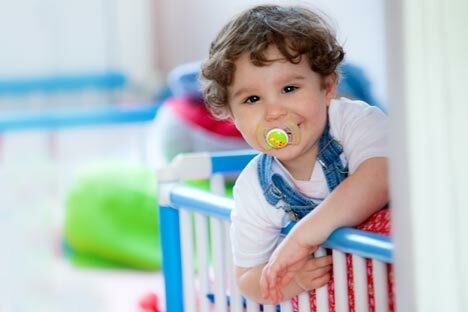 After the Lactocore component is registered with the government, the company will work with one of the largest manufacturers of baby food in Belarus. In the two years since its launch in 2011, the startup has managed to attract about $70,000 in grant money. This is enough for current research and wage expenses, but not enough to start international expansion. The group is now looking for global partners and $1.6 billion for final product testing, patenting, and marketing.